In 2009, about 400 bushfires, many of which subsequently joined together over time as larger fire complexes, raged across Victoria, from the 5th February to the 14th of March, collectively known as Black Saturday. 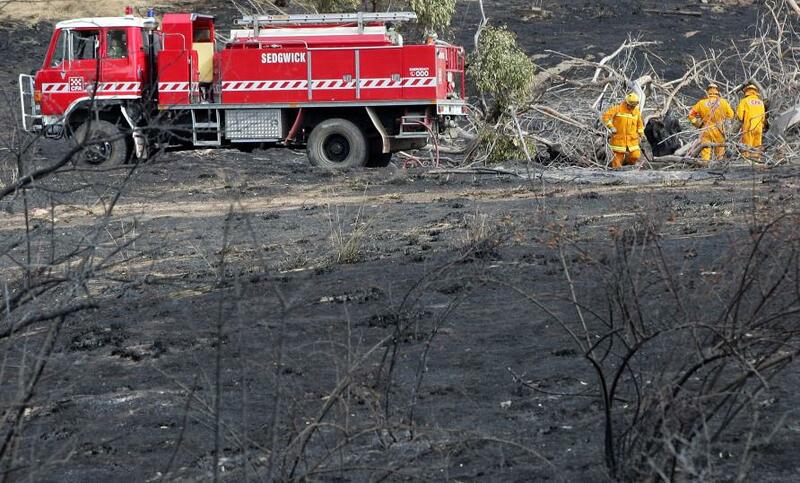 The outcome proved to be the biggest loss of life from bushfire in Australia. According to police, 173 people died and 414 were injured. A total of 2,029 homes were destroyed and 7,562 people displaced. A staggering 450,000 hectares were burnt, causing the death of almost 12,000 livestock animals. Also destroyed were businesses, agriculture, community buildings, and cultural and historic locations. Black Saturday, and the losses associated with it, proved to be a landmark in Australian history; one that is now at the back of the minds of many Australians each summer. The expectation after such a powerful event is that, now we are forewarned, it won’t happen again. But ten years on, it’s important to reflect on whether such an event could re-occur. The truth is that while improvements have been made, the possibility for future catastrophic bushfires remains an ongoing high risk. More large bushfires have occurred since 2009, with other Australian states experiencing significant events in turn – Western Australia, South Australia, Tasmania and New South Wales. However, thankfully few lives have been lost. A policy of first protecting human life and keeping people out of harm’s way via clear messaging and information by response agencies seems to be effective. Urban planning and associated building controls have been improved considerably since the 2009 fires. The quality and extent of bushfire risk mapping has improved, vegetation categories have been enhanced, and treatments of development, defendable space and vegetation clearing are all better than they were. While these successes are important, particularly for new buildings, the wider challenges around bushfires are growing. Australia’s population is increasing at an unprecedented rate, with an average growth rate of around 1.5 per cent per annum. So, a million people will be added to the population every two to three years, with Melbourne and Sydney absorbing the highest rates of population growth. This means a rapidly growing urban footprint into forested and other vegetated areas. 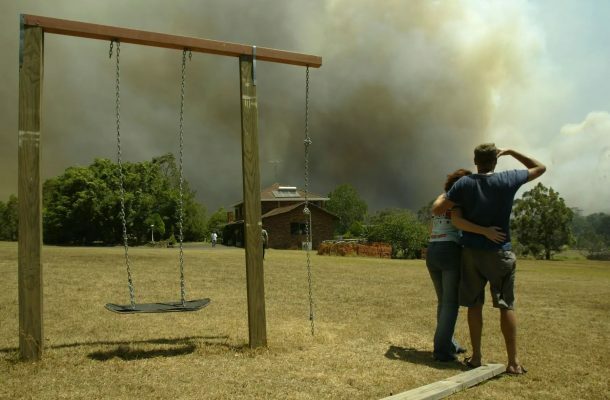 We know that most bushfires – around 85 per cent to 90 per cent – occur as a result of human activity. This includes purposeful or accidental lighting as a result of reckless behaviour, or less directly due to human structures, like powerlines, or storm activity and lightning increasing due to anthropogenic climate change. It’s common for bushfires to occur near urban areas and human settlements on the rural-urban fringe, with features like urban sprawl, ‘life-style’ housing in forested areas, as well as sometimes uncontrolled and rapid housing developments on the city edge. In Australia, the fringes of major cities pose particular vulnerabilities in relation to deliberately lit fires. Communities in these areas are commonly characterised by a relatively low median age and/or a high proportion of young people who are socioeconomically disadvantaged – the very group who are more likely to deliberately light bushfires. On the positive side, bushfire building regulations for new housing has assisted in reducing the fire risk for that structure. However, there is still a long way to go to improve land use planning in Melbourne – like the enforcement of a stronger urban boundary to greatly reduce urban sprawl. There’s also a need to improve interoperability between urban planning and emergency planning, to enable a common approach to fire risk. Plus, new approaches are needed to address and reduce the occurrence of fires lit by people, a very neglected area. Firstly, the numbers of bushfires in Australia have increased by 40 per cent over the five years to 2016. In 2013, this represented about 238,940 bushfires for the year, as measured through satellite imagery, although many represent small fires. But this isn’t only an Australian problem, it’s a trend we’re now seeing globally. Just over the past few years, several catastrophic fires have occurred internationally in countries that have never experienced bad fires before – Sweden and the United Kingdom. 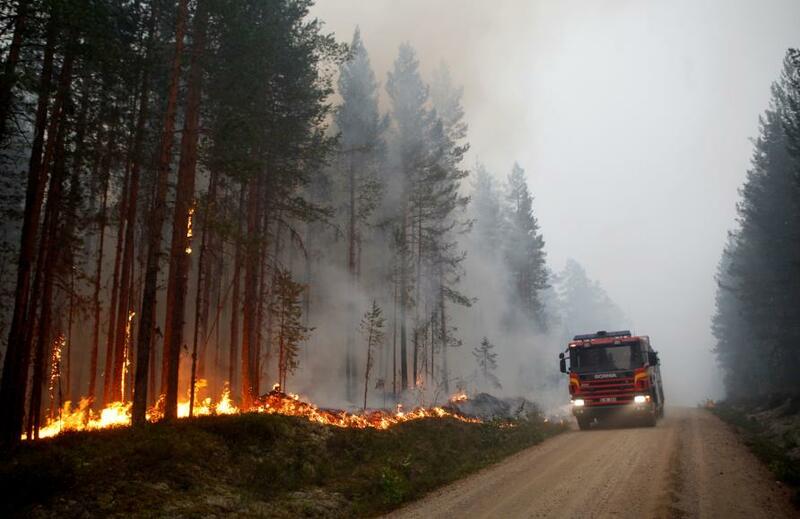 In fact, last year, dozens of fires burned from the Arctic Circle down to the Baltic Sea. 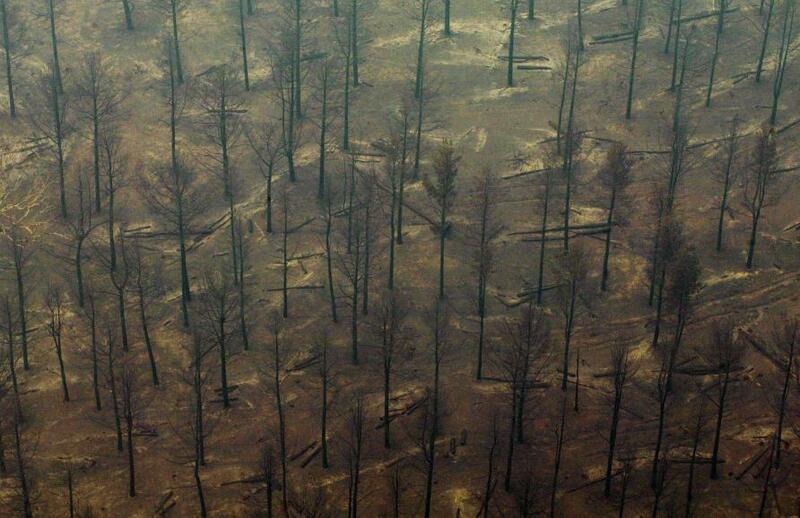 The greatest failure to learn from the Black Saturday fires has been the lack of response to climate change. In 2009, the metric used to measure bushfire risk was the McArthur Forest Fire Danger Index which was developed in the 1960s. This index combines a record of dryness, based on rainfall and evaporation, with meteorological variables for wind speed, temperature and humidity to calculate the degree of fire risk. The Australia-wide threshold for a fire weather warning was originally set at 50, except Tasmania, which sat at 24. The index on 7th February 2009 for a number of sites in Victoria reached unprecedented levels ranging between 120 and 190, with some sites over 300. 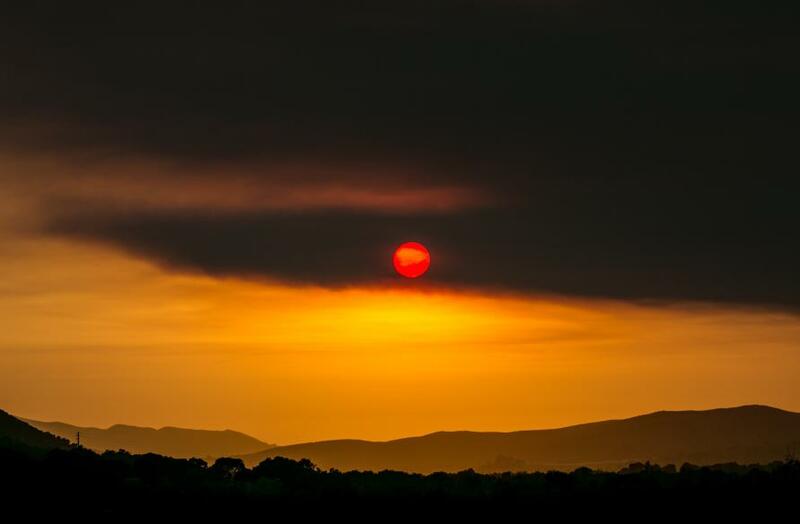 The link between climate change and the tragic bushfire becomes more apparent when you look at the bigger picture that led to that day. On Black Saturday, Melbourne experienced a record-high temperature of 46.4°C, preceded by three days over 43°C during the previous week. Relative humidity sat at a record low 5 per cent. And there had also been record low rainfall recorded from the beginning of the year. There was no rain during the 35 days leading up to the day of the fire, the second longest period ever without rain, and the driest start to the year on record. This was preceded by 12 years of well below average rainfall, contributing to extremely low fuel moisture, between three and five per cent on the day of the fire. The science is comprehensive, and unequivocal evidence shows that climate change now plays a role in extreme heat events, yet adequate responses to this knowledge aren’t occurring. Given the current climate change policies in place, the world is on track to have a temperature rise of 3.1°C to 3.7°C. The rise in occurrence and intensity of bushfires in Australia can be observed even with the current temperature increase of 1.0°C since 1910. 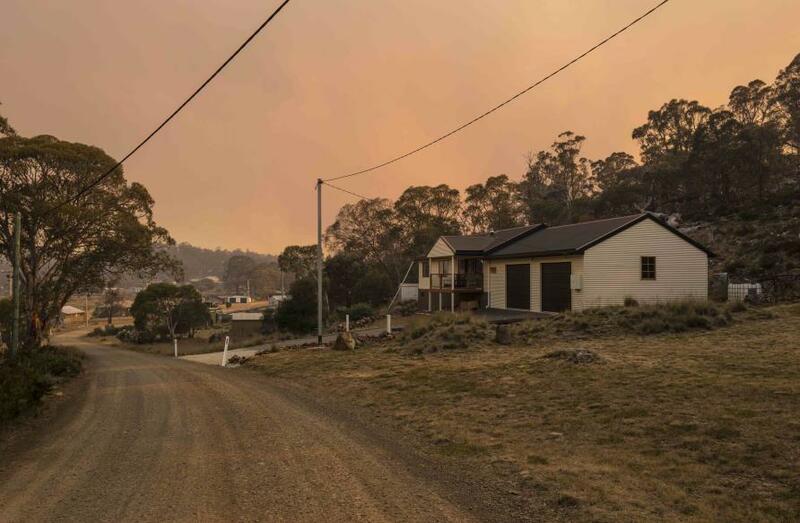 So, while there are positive improvements in urban planning since Black Saturday, there has also been an ongoing failure to absorb wider learnings around bushfires that take into consideration how connected that risk is with Australia’s urban growth and the world’s changing climate. This article was written by Associate Professor Janet Stanley and Professor Alan March of the University of Melbourne and published by Pursuit. 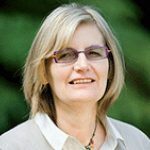 Janet Stanley is a Principal Research Fellow in Urban Social Resilience at the Melbourne Sustainable Society Institute. Her current work concentrates on the interface between social, environmental and economic issues in climate change and sustainability.